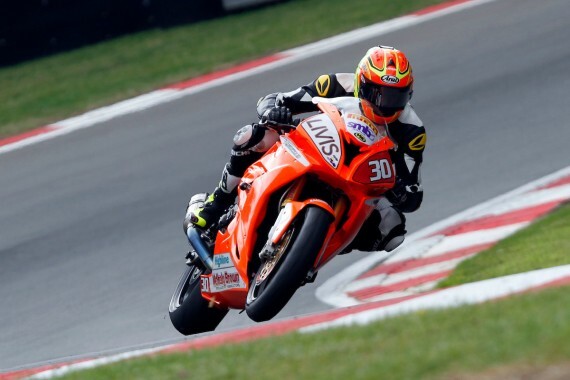 Kent’s very own Shane ‘Shakey’ Byrne was definitely the King of Brands at the latest round of the MCE British Superbikes at the weekend. He was virtually unbeatable for the entire weekend on the GP circuit, as he dominated free practice and probably would have had pole but for a slow puncture on his front tyre. No one was able to stop him in the races as he took a well earned double. However he didn’t do it the easy way. He was still fiddling with his bike when the lights went out on race one and dropped down the order and worked his way through, picking riders off as the race got to the half way state. Eventually coming through to take the flag in front of. The second race was much the same story as he got away at the start but bikes roared past him. He dropped down to 11th before once again patiently working his way through the field, to eventually take the lead two laps before home, after that he roared away from Leon Haslam for the win. Jake Dixon showed he has the talent to succeed in the class scoring points in both races, with a highest finish of 12th in race two. It showed just wide the Dover born racer has already signed a deal to be in the championship in 2017. The support classes produced there usual thrills and spills and drama, as battles for wins and places went right down to the wire in most cases. It wasn’t the best of weekends for the Kent riders, but in the Supersport class Bradley Ray was second in the first two races but finished outside the points in race three, he dropped down the order having down well to keep hold of a high side. Ryan Dixon did well to finish in the points in race two and Ross Twyman had two DNFs in the same class. In the Superstock 600s the racey Tom Ward had to settle for fourth place as the race was red flagged two laps from home as he closed in on the top three. The Superstock 1000 race saw a points finish for Rob McNealy but Alex Olsen had his race ended when he was taken off when in ninth place. Over in the KTM British Junior Cup, Ryan’s brother Jack Nixon was impressive taking third in the first race of the weekend, before going one better on Sunday, making it an excellent result for the 15-year-old. 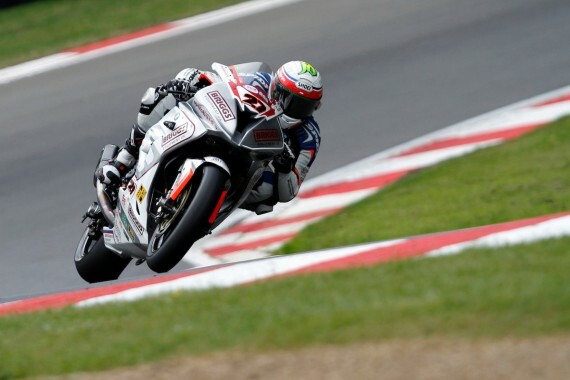 It was safe to say that as Brands Hatch baked in the summer sunshine that he crowds were wowed and entertained. Especially with Scott Smart and co taking Barry Sheene’s bikes the wrong way round Brands Hatch in the lunch break paying homage to the legendary racer and the Hutchinson 100. This entry was posted	on Monday, August 8th, 2016 at 8:00 am	and is filed under Featured, Motor Racing. You can follow any responses to this entry through the RSS 2.0 feed. Both comments and pings are currently closed.